Carl Greer, PhD, PsyD, is a practicing clinical psychologist, Jungian analyst, shamanic practitioner, and author. He is involved in various businesses and charities, teaches at the Jung Institute in Chicago, is on the staff of the Lorene Replogle Counseling Center, and holds workshops on Jungian and shamanic topics. Patricia Greer, MA, PhD, is a practicing psychotherapist, Jungian analyst, and author. She has seen clients for more than 30 years and is particularly interested in women’s issues. Big Shoulder’s provides support to Catholic schools in the neediest areas of inner-city Chicago. 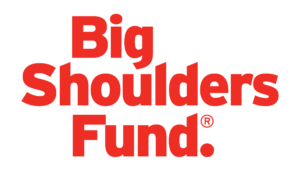 Big Shoulders Fund is unique in that its administrative expenses are supported by an endowment and other income which ensures that 100 percent of funds currently raised go toward programs that benefit Big Shoulders Fund schools and the students they serve. The programs benefit the hardest working students in Chicago, providing scholarships, special education and academic programs, instructional equipment, much-needed school facility improvements, faculty support, operating grants, and much, much more. Bottom Line helps low-income, first-generation students get accepted into college, graduate, and go far in their careers. The organization strives to dramatically transform urban communities by producing thousands of career-ready college graduates who are breaking the cycle of poverty. Bottom Line expects students participating in their program to earn a bachelor’s degree, accumulate no more than $36,000 in debt, and be employed or continuing their education within six months after graduation. 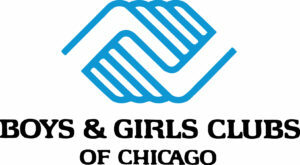 Boys & Girls Clubs of Chicago’s mission is to enable all young people, especially those who need them most, to reach their full potential as productive, caring, responsible citizens. Since 1902, the Boys & Girls Clubs of Chicago have provided the city’s children with a safe, positive and supportive place where they can take advantage of after-school programs, activities and services designed to prepare them for the future and achieve their fullest potential. Children ages 6-18 are welcome to join one of the many Clubs in Chicago, where they can play sports, receive tutoring, or simply find companionship. The Boys & Girls Club of Chicago’s staff members not only work to keep order at the Clubs, but also mentor the kids, often serving as role models. In a city of over 3 million people, each community has its distinct strengths and problems; youths from diverse backgrounds gather in the common space of the Clubs. 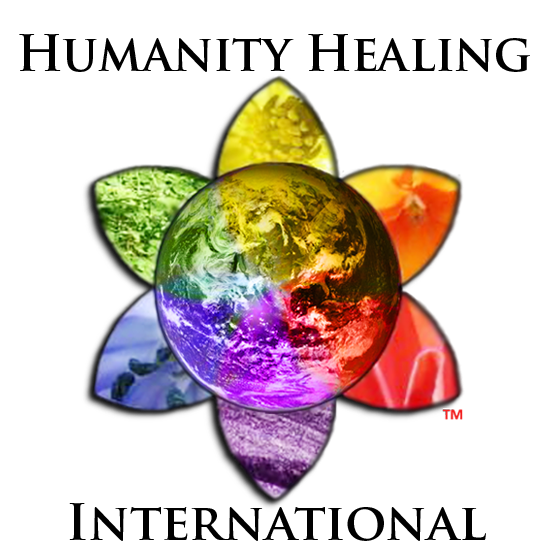 As a community, the C. G. Jung Center promotes self-exploration and growth through the offerings of the Center. The Cancer Support Center offers various programs for those affected by cancer at no charge to participants. From networking groups to cooking demonstrations and yoga, there are plenty of programs to take advantage of. Located in a Central Wisconsin woodlands sanctuary, The Christine Center is committed to global transformation through interfaith meditation, spirituality and wellness retreat programs. Grounded in the spiritual lineage of St. Francis and St Clare of Assisi, seekers and practitioners of all faith backgrounds are welcome to come and experience spiritual deepening within a supportive community. The Christine Center offers unique opportunities for meditation and inner work through group retreats, personal retreats, sabbaticals and volunteering. 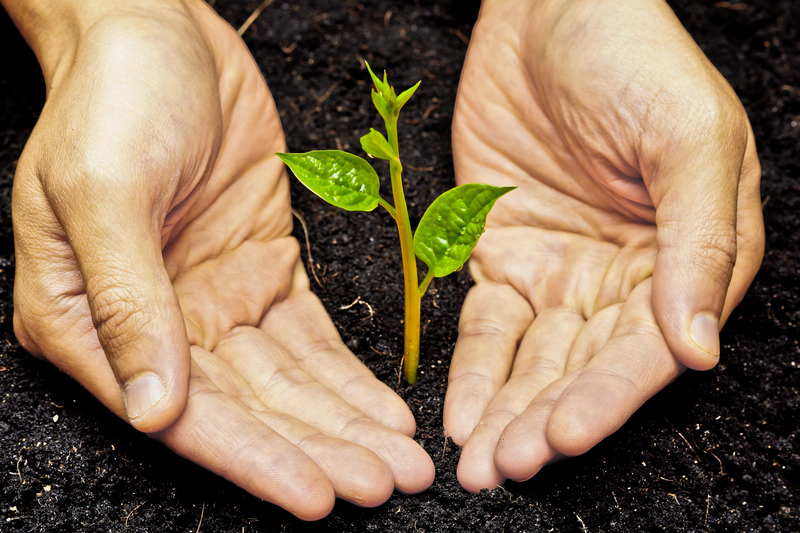 The Christine Center embraces environmentally sustainable practices. Connections for Abused Women and Their Children is a Chicago nonprofit committed to ending domestic violence. 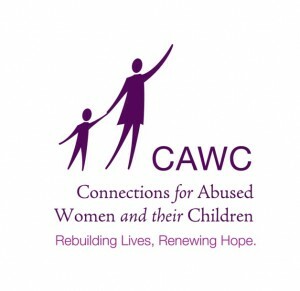 Using a self-help, empowerment approach, CAWC provides shelter for women and children, as well as counseling, advocacy, and a 24-hour hotline for people affected by domestic violence. CAWC works for social change through education, service collaboration, and institutional advocacy. To help abused women and their children, the bilingual and culturally diverse staff at CWAC provides help through a variety of programs and confidential services, free of charge. 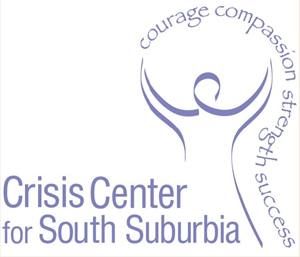 The Crisis Center for South Suburbia in Tinley Park, Illinois, is a nonprofit community organization that provides emergency shelter and other essential services for individuals and families victimized by domestic violence. It also addresses the societal issues that contribute to domestic violence. Embarc is a three-year program that provides community-driven, experienced-based learning opportunities to low-income High School students to inspire and prepare them for college and career success. Embarc’s model is built directly from the research of leading minds in education and psychology. Embarc’s goal is to drive student success with long-term social and cultural exposure. Through the transformative power of these journeys, it awakens students to the possibilities of their potential by dissolving the borders of the city and in their minds. Embarc does this through a three-year, three-level approach to journeying with the integration of their own curriculum. 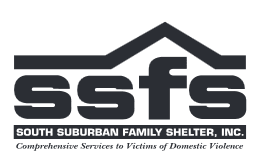 Family Shelter Service, located in Wheaton, Illinois, offers help and hope for victims of domestic violence and works to create a community that is safe for all. It also provides culturally appropriate services for Latino victims of violence. 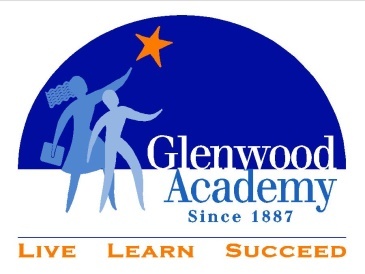 Glenwood Academy is a 126-year old, non-denominational residential/educational organization located in Glenwood, IL. One hundred fifty boys and girls in grades 3-12 living in 12 residences located on a 120-acre campus, 20 miles south of the Chicago Loop. The on-campus school serves students through eighth grade. High school students attend Bloom Township High School or Marian Catholic High School. Eighty-nine percent of the students come from single-parent homes, with ninety-two percent living at or below the federal poverty income levels. Parents who apply are seeking a stable living environment for their children, away from unsafe family and/or community environments. Students enjoy a range of recreational opportunities as well as organized sports programs in junior and senior high school. Over 92 percent of the graduating seniors during the past 10 years have gone on to work toward a college education. 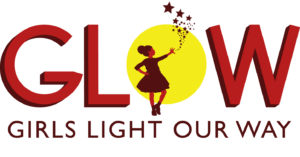 The mission of the Girls Light Our Way (GLOW) organization is to improve the lives of girls in areas of health, self-efficacy, and financial literacy. Our primary goal is to reduce disparity and improve economic access through activities-based and leadership skills training. This will inspire them to be healthy, diplomatic, polite, confident, well educated, hardworking and intelligent. G.L.O.W will provide them with the tools and skills to problem solve and interact with others and will provide the tools to become great women and productive world citizens. The Home Centered Care Institute (HCCI) is dedicated to creating universal access to best practice house call programs, making home-based primary care the national standard for treating medically complex patients who are better cared for in the home. Home Centered Care Institute seeks to ensure every patient in need has access to quality medical care in the home that results in a profound improvement in medical outcomes, patient and family experience and health care spend. House of the Good Shepherd offers a comprehensive, curative program for women who are domestic violence survivors and their children. Through their 14 transitional housing apartments, they help women and their children to heal and recover from the violence. They also enable the women to develop independence and self-sufficiency and to break the cycle of abuse. 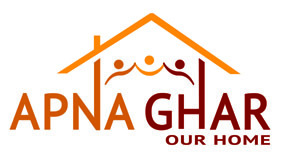 During their 8-16 month stay, women are provided with access to job training, financial counseling, child programs, ESL and GED courses, and other wraparound services that allow most of them to graduate from the program with $1500-$4000 in savings, employment, and a lease for a safe place to live. Humanity Healing International is a humanitarian, nonpolitical, nondenominational spiritual organization promoting Spiritual Activism as a means to foster healing in communities around the world that have little or no hope. Illinois Institute of Technology is a private, technology-focused research university offering undergraduate and graduate degrees in engineering, science, architecture, business, design, human sciences, applied technology and law. Kimmapii Kids is a Canadian Charity that delivers hope and opportunity in every satchel full of school supplies given to children in the Cusco and Sacred Valley areas of Peru. In 2007, a small group of like-minded, big-hearted people traveled to Peru to learn about the ancient wisdom of the indigenous elders. While touring the villages and communities in rural areas, they witnessed firsthand many challenging conditions children faced, and felt an urge to help. The small group asked the elders what was needed most to support their community, and the answer was clear: access to education. Education would provide new opportunities and enrich their children’s lives. An idea that started as a seed has grown into an annual program delivering 1500 satchels filled with school supplies to children who might not otherwise be able to attend school. The government pays for schools and teachers but not books and pencils, so volunteers make the annual trip to hand-deliver reusable, locally made satchels filled with school supplies that have been purchased wholesale from Peruvian merchants. In this way, Kimmapii Kids supports the local economy and minimizes their environmental footprint. The experience these volunteers have of giving from the heart lasts a lifetime. Recognized among the nation’s premier research universities, Lehigh offers a rigorous academic community for nearly 7,000 students. Our ideal size, student-to-faculty ratio and vibrant campus allow students to collaborate on projects in and out of the classroom. LivingWell Cancer Resource Center in Geneva, IL, provides compassionate care that empowers, encourages, supports, and provides hope to cancer patients and their families. Since opening their doors in 2005, LivingWell has served as a community-based, community-funded cancer resource center. The focus at LivingWell is to help cancer patients and their caregivers learn vital skills that enable them to regain control, reduce isolation, and enhance their quality of life. Living Well’s staff has an unwavering commitment to ensuring that people facing cancer feel empowered with knowledge, strengthened by action, and sustained by the support community created by LivingWell. The ultimate goal of all of the LivingWell programs is to increase the quality of coordinated care for cancer patients and increase patient and family member’s mental health and well-being. All programs and services are offered free of charge. As a Jesuit Catholic university, Loyola University is a steward of Catholic tradition and unique Ignatian heritage. Loyola’s mission defines its roots, its ways of proceeding and the outcomes Loyola strives to achieve. At Loyola University Chicago, Loyola actively supports its mission in many ways. Midwest Shelter for Homeless Veterans is a nonprofit agency with a passion for helping homeless and at-risk veterans achieve self-sufficiency. Located in DuPage County, Illinois, MSHV conducts community outreach and provides veterans and their families with housing programs and supportive services. The organization was founded by veterans, and the staff at MSHV work to integrate the military experience of clients into the array of intensive, personalized programs that the agency provides. Mujeres Latinas en Acción empowers Latinas by providing services that reflect their values and culture, and by being an advocate on the issues that make a difference in their lives. Focusing on violence prevention and leadership development, programs incorporate cultural proficiency and a strengths-based approach, forming a pathway that is easy to navigate and designed to assist participants in developing and working toward their personal goals. Domestic Violence Program: Mujeres’ largest program provides assessment, individual and group counseling, children’s therapy, legal advocacy, a 24-hour bilingual hotline, case management, access to income support, community education, transportation, and respite child care as well as referrals to temporary housing. Sexual Assault Program: Offers assessment, individual and group counseling, medical and legal advocacy, community education, and referrals to services. Long-term therapy is also available through a Master’s-level therapist for those requiring more intensive assistance. Empresarias del Futuro: Provides the opportunity for domestic violence survivors to reach economic independence through entrepreneurship with a focus on leadership, financial literacy, and small business development. Collaboration with Women’s Business Development Center and Acción Chicago. Latina Leadership: Empowers Latinas to improve the quality of their lives and communities through leadership development and community involvement on issues directly affecting residents. Parent Support: Offers educational classes for parents seeking to enrich their parenting skills to improve family life. This program also includes Project Sanctuary, a supervised child visitation program for noncustodial parents. Youth Programs: Proyecto Juventud/Jovenes con Palabra (Project Youth/Young Men of Their Word) focuses on leadership development, academic success, pregnancy prevention, and violence prevention among both boys and girls. Ventanilla de Salud: Housed at the Mexican Consulate, VDS provides to Mexican immigrants referrals to health services and information on topics such to disease prevention, health screenings, and the Affordable Care Act. The Osher Center consciously examines the evidence for effective complementary and alternative practices from around the world and blends them with the very best of conventional medicine. The goal is to provide the highest quality personalized healthcare to patients. 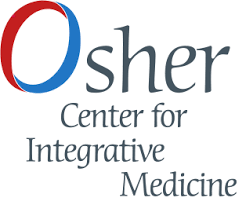 The Northwestern Medicine Osher Center for Integrative Medicine is one of the leading centers of integrative medicine in the nation, helping patients in Chicago and surrounding areas achieve optimal health through innovative, personalized care. Pachamama Raymi in Cusco, Peru, is a nongovernmental organization that focuses on the economic, social, and ecological revitalization of rural and urban communities in Peru. The name “Pachamama Raymi” comes from the indigenous Quechuan language and means “Fiesta of Mother Earth.” Pachamama Raymi fulfills its mission by providing peer learning to local communities through workshops, practical training, and farmer exchanges. Community contests are held to encourage adoption of sustainable farming practices, diversification of income sources, environmental reclamation, and improvement of living conditions. Individual and community winners are awarded monetary prizes for implementing the greatest improvements. All contest participants benefit by gaining from advances in the quality of day-to-day living. The effects of improvements undertaken by individual families impact the whole community. For example, increasing the quality of stoves and their ventilation decreases indoor smoke, improving respiratory health in the community, while greater stove efficiency lowers fuel use and decreases deforestation. Other changes might include using more effective animal husbandry practices, leading to better nutrition and the ability to use manure to produce biogas fuel, and planting of trees to increase reforestation and future economic opportunity. The target of the tree-planting program is for each participating family to plant 1000 trees per year, a goal that is often exceeded. 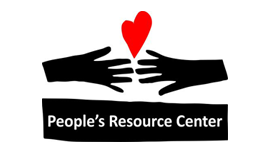 The mission of the People’s Resource Center community is to respond to basic human needs, promote dignity and justice, and create a future of hope and opportunity for the residents of DuPage County, IL, through helping them to discover and share personal and community resources. Legacy of healing: With a 37-year tradition of providing professional, compassionate, and holistic services to those in need, the Replogle Center offers unique and diverse care from a team of experienced therapists representing a broad array of backgrounds, spiritual traditions, and training. The Center is open to all and serves a wide-ranging population inclusive in race, gender, age, sexual orientation, and religious or spiritual point of reference. It is connected to a referral network to ensure that all who come to us for help receive appropriate services and support. For those with limited financial options, The Replogle Center offers scholarships and sliding scale fees. Counseling: The Replogle Center provides counseling services that include individual, group, and couples counseling for adults. A variety of approaches are employed, many of which include some aspect of mindfulness. The staff at the Replogle Center treats clients’ trust with the utmost respect, knowing that confidentiality is at the core of successful therapeutic relationships. The goal is to help clients recognize negative patterns and develop methods to cope with and change these patterns. Relationship coaching: Relationship coaching, also known as marriage counseling, helps couples recognize and resolve conflicts and improve their relationships. Relationship coaching gives couples tools to communicate better, negotiate differences, problem solve, and resolve conflict in a healthier way so that they can create the relationship they desire. 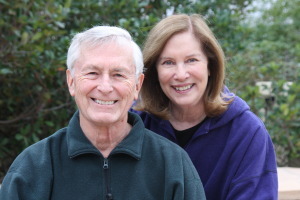 The Replogle Center provides counseling services to couples struggling with communication problems, life’s transitions, and intimacy concerns so that they may achieve greater levels of intimacy and understanding. EMDR: EMDR (eye movement desensitization and reprocessing) is a powerful technique used to help clients overcome emotional difficulties due to traumatic situations and events such as having been assaulted or abused, served in combat, or experienced a natural disaster. Scientific research has established EMDR as effective for treating post-traumatic stress disorder (PTSD), in which improperly stored images, thoughts, and feelings are relived and re-experienced when memories are triggered, resulting in a disruption of a person’s ability to function. EMDR has also been used effectively to treat complications of grief and reduce stress as well as anxiety. Founded in 1981, Sarah’s Inn has grown to become the largest and most comprehensive domestic violence agency serving Chicago and surrounding West Cook County suburban communities. 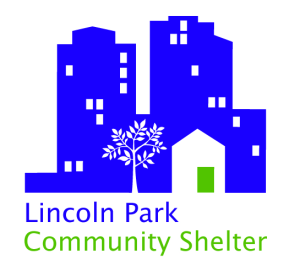 The agency currently operates from a hub in Oak Park and six off-site locations throughout Chicago and West Cook County with the help of partner agencies and area courthouses. 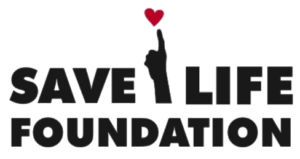 Save One Life’s vision is to provide self-confidence, training, and support to formerly incarcerated, under-served, and/or marginalized young men and women, allowing them to redirect their lives and become influential members in society. 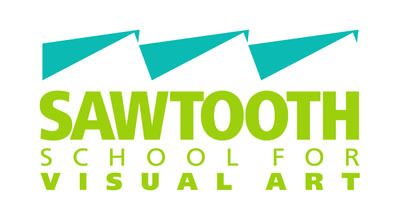 The Sawtooth School for Visual Art is the only community art school serving the Winston-Salem, North Carolina area. For nearly 70 years, Sawtooth has offered classes and workshops in a variety of visual arts and crafts, including painting and drawing, ceramics, metals, glass, wood, fibers, photography, digital art, and more. Healing and Wellness through the Arts, a pilot project of the Sawtooth School, helps adult oncology patients use art as a means of expressing loss and grief. Through partnerships with cancer centers at Novant Health and Wake Forest Baptist Health, the program offers on-site exhibitions, demonstrations, and short workshops. Soldier’s Heart’s mission is to transform the emotional, moral, and spiritual wounds that often result from war and military service. Soldier’s Heart helps active-duty troops and veterans develop new and honorable warrior identities. Soldier’s Heart offer genuine homecoming, reintegration, and a path for post-traumatic growth. Soldier’s Heart also empowers and equip families, care providers, individuals, and communities to support our troops and veterans as they work to establish new identities. 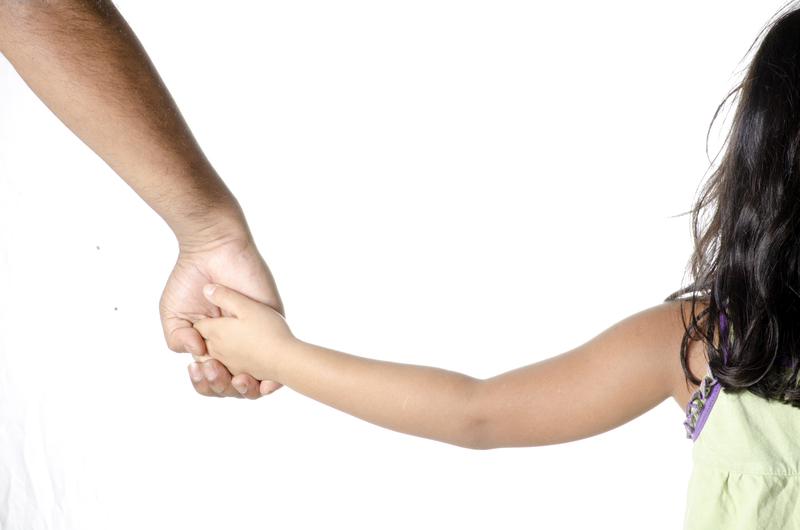 For Chicago area families experiencing domestic violence, South Suburban Family Shelter in Homewood, Illinois, provides comprehensive, coordinated services without imposing any one solution. South Suburban Family Shelter’s programs increase the safety of victims and their families and empower victims by helping them to increase their knowledge about healthy relationships. They also increase offender accountability and raise awareness and understanding of domestic violence issues within the community. All services are provided free of charge in both Spanish and in English. St. Coletta’s of Illinois, Inc. was created by the Sisters of St. Francis of Assisi for the specific purpose of providing services in a Christian environment for all children and adults with developmental disabilities and other persons with short-term needs. Through training, residential, and educational programs designed to enhance physical, mental, social, and spiritual well-being, St. Coletta’s encourages each individual to achieve his or her greatest potential within society. Each individual is given the opportunity to grow in the least restrictive setting which meets the individual’s needs and abilities. The mission of Stephen’s Children is to serve Christian children and families living in Cairo’s garbage slums or in impoverished communities throughout Egypt as well as in rural Upper Egypt. Stephen’s Children ministries aid more than 31,000 children and their families. The Taproot Foundation drives social change by mobilizing and engaging professionals in pro bono service, providing leadership to organizations tackling social problems that don’t have access to the marketing, design, technology, management, or strategic planning resources they need to succeed. Access to pro bono talent to assist them in addressing critical issues such as the environment, health, and education helps them to reach their goals and maximize their impact. Taproot engages the nation’s millions of business professionals in pro bono services both through our award-winning programs and by partnering with companies to develop their own pro bono programs. Its vision is that all organizations with promising solutions will be equipped to successfully take on urgent social challenges. The Taproot Foundation operates Service Grant Programs in Chicago, Los Angeles, New York City, San Francisco Bay Area, and Washington, D.C.
Unite the World with Africa Foundation is a US-based 501c3 non profit organization whose mission is to promote peace and prosperity for the world’s poor through the provision and advancement of health, education and micro finance programs in Tanzania, East Africa. Unite casts a wide net to uncover local leaders who are impacting impactful sustainable change at a grassroots level. Once these individuals are identified, they and their teams and programs are carefully vetted before being approved as a partner of Unite. Once approved, the Foundation works to provide all the resources, mentoring, education, materials, staff and volunteer support to ensure their short and long-term success. Each time a man stands up for an ideal or acts to improve the lot of others or strikes out against injustice, he sends forth a tiny ripple of hope, and those ripples build a current which can sweep down the mightiest walls of oppression and resistance. The University of Arizona Center for Integrative Medicine (UACIM) is leading the transformation of healthcare by training a new generation of health professionals and by empowering individuals and communities to optimize health and well-being through evidence-based, sustainable, integrative approaches. We Grow Dreams provides people with disabilities the opportunity to lead fulfilling lives and to train and work in a supportive, safe, and caring environment while producing and providing products and services to the community. 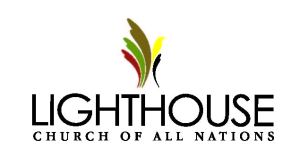 In this pursuit, We Grow Dreams honors the concepts of human dignity, respect, hard work, fellowship, and friendship. The center’s mission is to provide job training and employment opportunities for people with disabilities, and have been doing so from the same location in West Chicago for 13 years. Wellness House in Hinsdale, Illinois, provides resources at no cost for people diagnosed with cancer as well as for their family members and caregivers. Programs include exercise classes, healthy cooking classes, stress management techniques, support groups, and social events. Wellness House’s boutique makes wigs available to cancer patients at no charge, and their library contains resources on a wide range of health-related issues. WINGS seeks to help women in the northwest suburbs of Chicago who are affected by homelessness or domestic violence. WINGS provides programming designed to support the individual needs of each client. All WINGS programs offer safety planning, therapeutic and financial counseling, support groups, community referrals, life skills enhancement, career and housing solution-assistance, mentoring, and access to food pantries. ALAS (Advocating for Latinas Achieving Self-Sufficiency), which focuses on supporting the needs of Latina Women in the community. Wyman Center envisions a day when all young people in America will thrive in learning, work, and life. The center’s mission is to empower teens from economically disadvantaged circumstances to lead successful lives and build strong communities. The Greer Foundation also has scholarship programs: Greer Scholars and the Tichenor-Greer Scholars. Both fund educational opportunities for minority and economically disadvantaged youth who might not otherwise have access to higher education. The Greer Foundation provides grants to higher educational institutions and nonprofit organizations that offer scholarships for students to attend college, trade school, or certificate programs with a focus on Science, Technology, Engineering, or Mathematics (STEM). Scholarship programs are administered by the grantee organizations, and they select eligible students to be Greer Scholars. The following organizations currently participate in the Greer Scholars or Tichenor-Greer Scholars Programs. The Greer Foundation seeks to support organizations that are committed to helping people improve their lives. In addition to financial support, we work with organizations to improve systems and services so that they can help more people and reach their goals. The mission of the Greer Foundation is to support programs that address the root causes of violence, poverty and social injustice, protect the ecology of the earth, promote effective healthcare including psychological health and alternative medicine, and preserve indigenous spiritual and healing practices. We envision a world where health, social, and economic opportunities exist for all people, and protection of the earth is a priority. Addressing the root causes of poverty, violence, and social injustice is critical. It is the collective impact of our individual actions that creates the world in which we live and determines the legacy we leave the generations to come. *The Greer Foundation does not accept unsolicited grant applications.